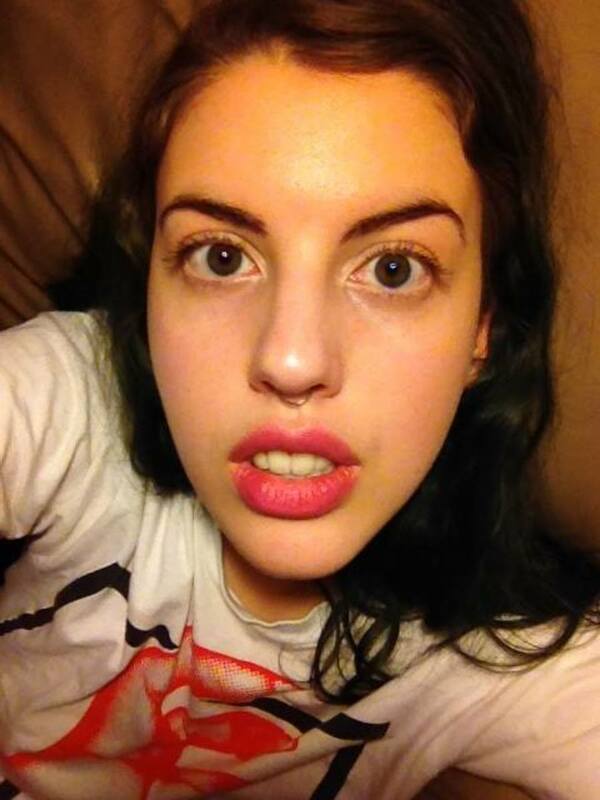 I learned about how to care for septum piercings when I got mine done. There are only a couple must-dos, but plenty of must-NOT-dos! 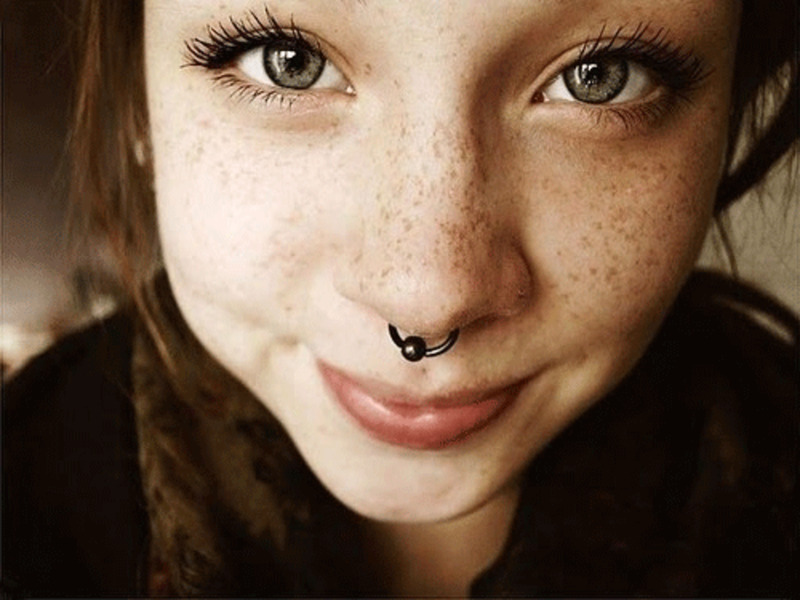 A septum piercing is a piercing through the septum—the wall that divides the nostrils. In most cases, the actual cartilage itself is not pierced. Piercers will generally go through what is known as the "sweet spot," the small, softer area between the cartilage and the bottom of the nose. If you put a finger in each nostril, pinch your septum, and drag your nose down, you should be able to locate it. Not everybody has a sweet spot, however, so in some cases, the cartilage will be pierced. This will typically be more painful than a standard septum piercing through the sweet spot. 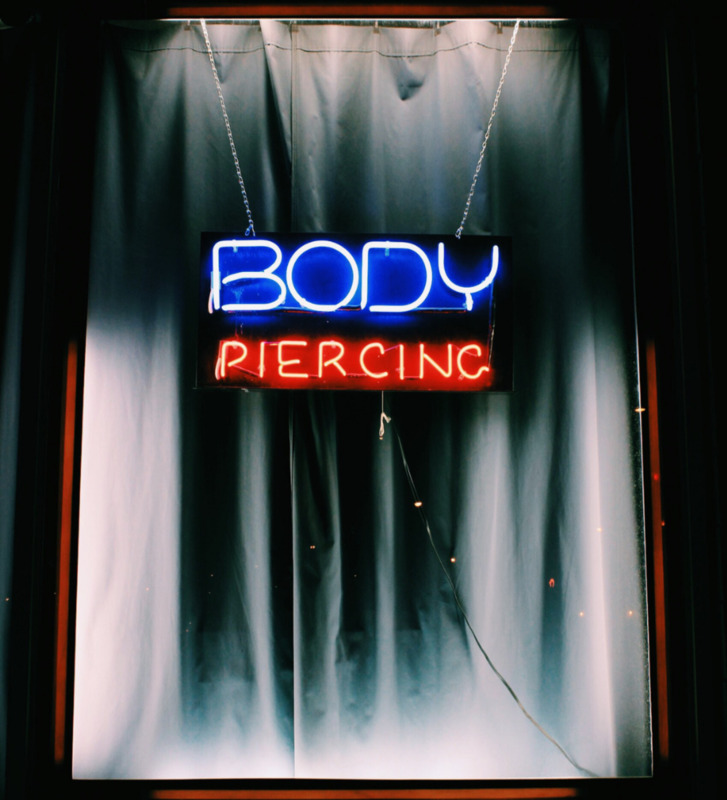 Note: Where the piercing sits exactly will vary from person to person, depending on where their sweet spot is. On some people, it will be pierced close to the tip of the nose and in others, it will be further back. 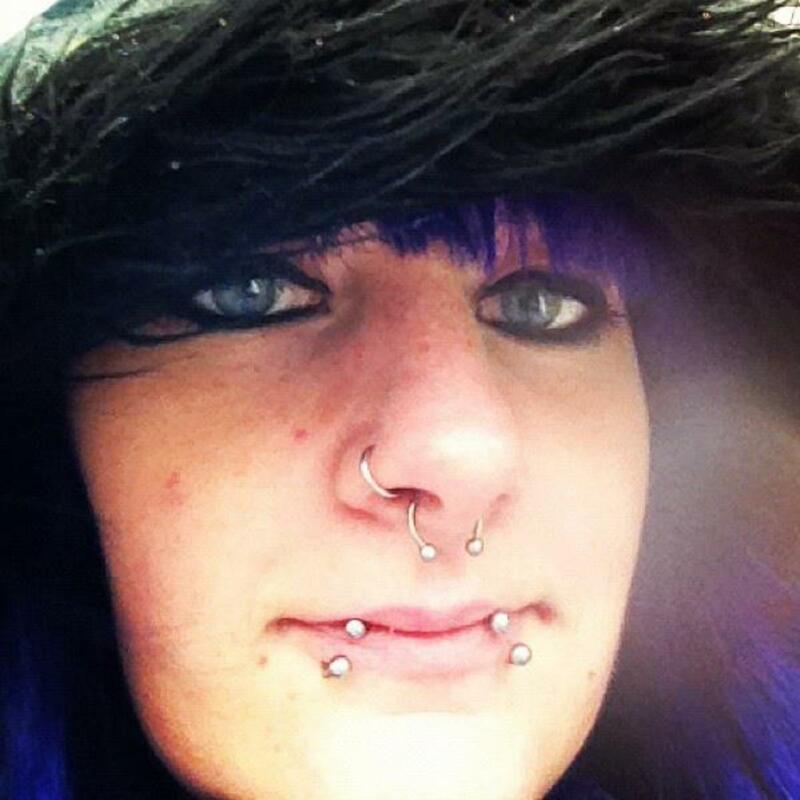 Septum piercings are perhaps the easiest to hide if your workplace is not accepting of body modifications. With the right jewelry (a septum keeper or a circular barbell), the piercing can be hidden by flipping the jewelry up into the nostrils, making it invisible to the eye. The best way to clean your new piercing is to use a saline solution. Many piercers may sell a ready-made solution, such as H2Ocean, but it is easy to make your own at home. 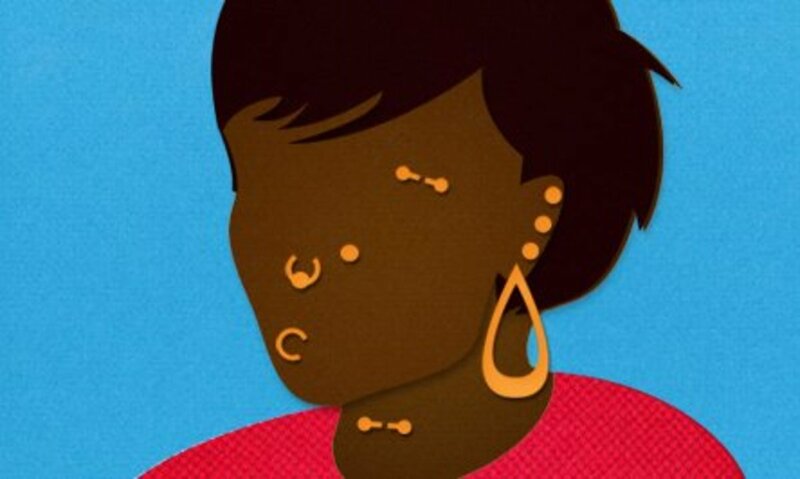 For new piercings, it is recommended that you clean them with a saline solution 2–3 times a day. Don't overdo it, as you can end up drying out your piercing and irritating it. To make your saline solution, mix 1/4 teaspoon of sea salt per 8oz (250 ml) of warm distilled water. The water should not be too hot, as this can aggravate the piercing and, obviously, burn you. Leave the water to cool until it is about as warm as an easily drinkable cup of coffee. Note: Sea salt is the best kind of salt to use for your solution. Some people have found that using table salt as a substitute works, but this is not recommended due to minerals it can contain. Epsom salts should be avoided, as these contain magnesium sulfate and not sodium chloride. Due to the placement of septum piercings, it can be difficult to completely submerge the piercing into a glass of water, but if you have a glass that allows you to, then soak it for 5–10 minutes. If not, use a disposable paper towel to create a compress but be careful to not apply too much pressure to the piercing. Note: Do not use cotton balls as these will leave behind fibers, and do not use washcloths as these can harbor bacteria. 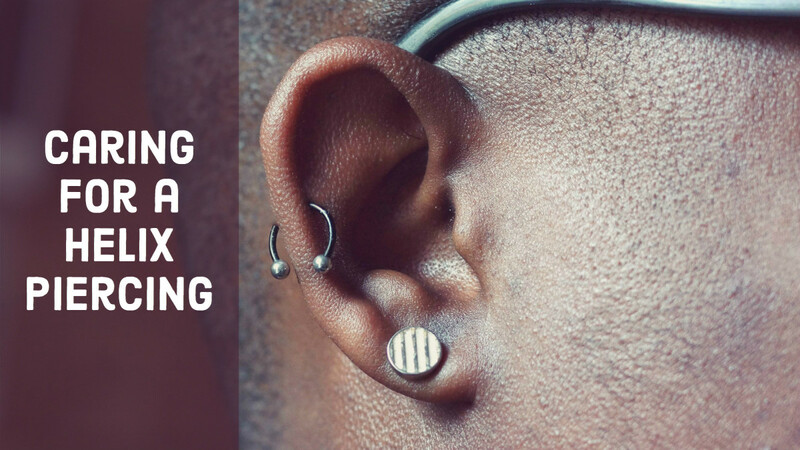 When you have finished soaking your piercing, rinse it with clean, cold water and a fresh Q-Tip to remove any discharge or "crusties". DO NOT handle your piercing with dirty hands. Make sure to thoroughly clean your hands before touching the piercing in any way, especially before cleaning. DO NOT over-clean your piercing with salt solutions. This can dry out and irritate the piercing. DO NOT play or fiddle with your jewelry. This will slow down the healing process and can lead to infection. 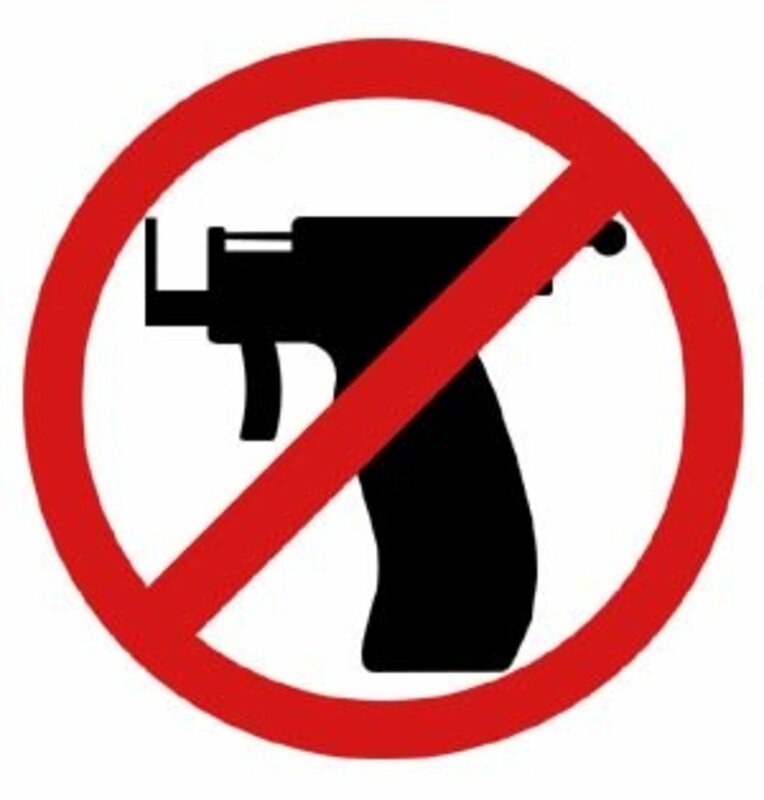 DO NOT use strong, perfumed soaps, or products containing alcohol or peroxide on or near your piercing. 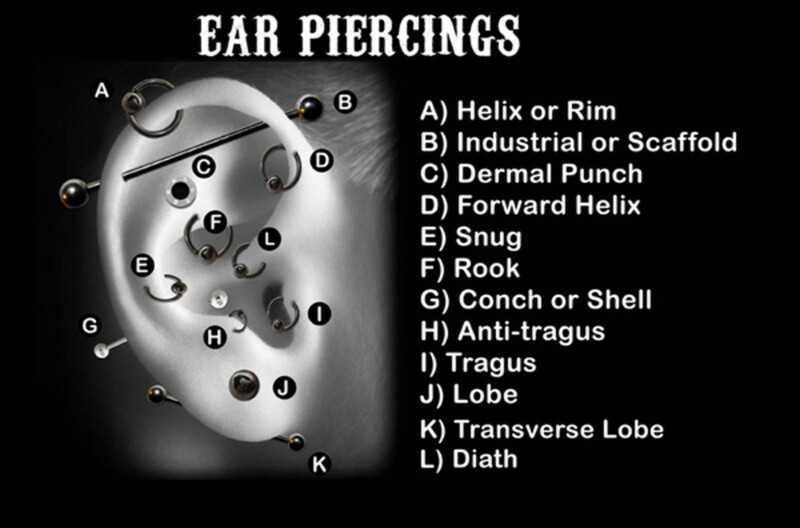 These can cause reactions and aggravate your piercing. DO NOT keep flipping your piercing up and down. This will irritate the piercing and slow down the healing process. Choose whether you want it up and down, and leave it that way while it heals. Some people find it easier to wear it flipped up while healing, to avoid any knocks.